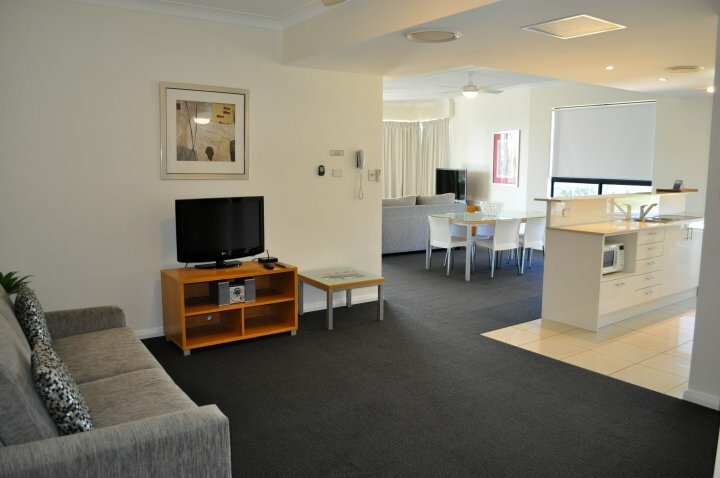 The Beachfront Bay Apartments Holiday Resort is situated directly opposite one of Hervey Bay best beaches, right on the Esplanade with an array of restaurants, cafes and shops all within a short few minute stroll. 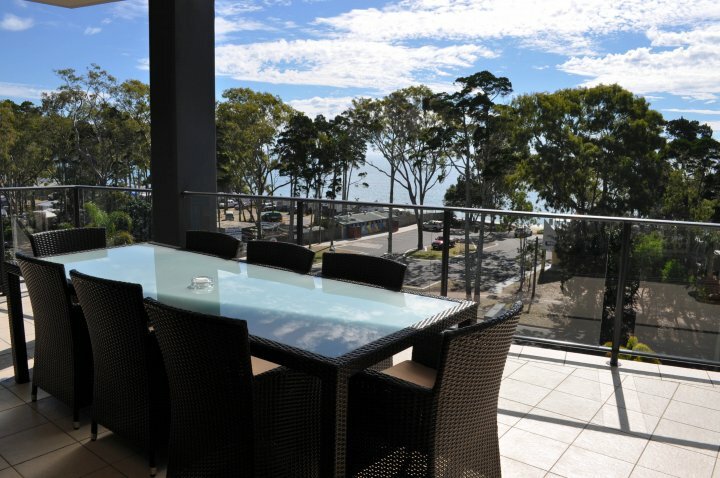 All of our fully self contained apartments are incredibly spacious and contemporary with large bay facing balconies or ground floor courtyards offering direct access to the pool. 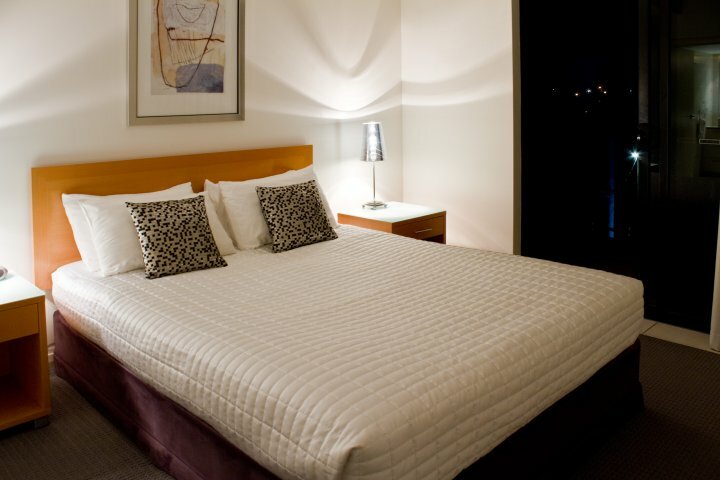 Being self contained you get to enjoy more space and facilities in your apartment allowing you to self cater. Our Outdoor Spa Apartments offer you the added luxury of your own personal outdoor spa on your balcony or in your courtyard. 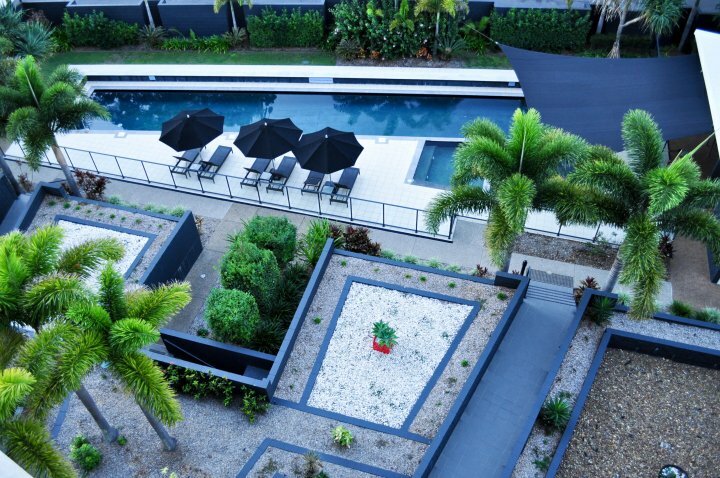 The Bay Apartments continue to be Hervey Bay's favourite Resort offering the very best for couples, the largest of families, corporate groups and business guests. More space than you would ever expect. 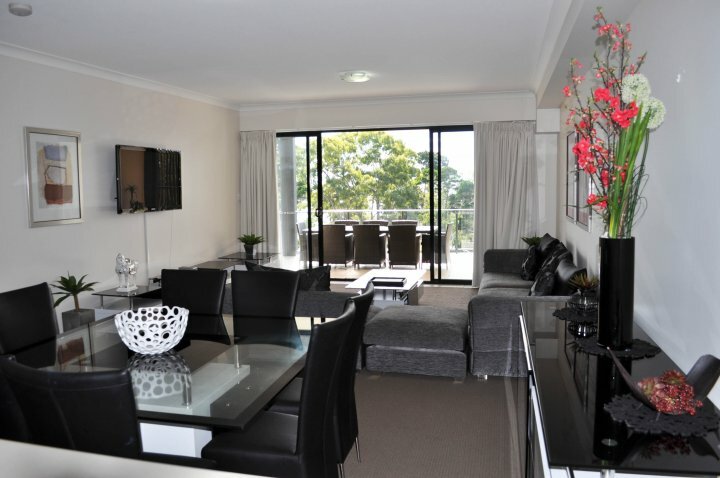 Beautifully appointed fully self contained apartment that will have you never wanting to leave. 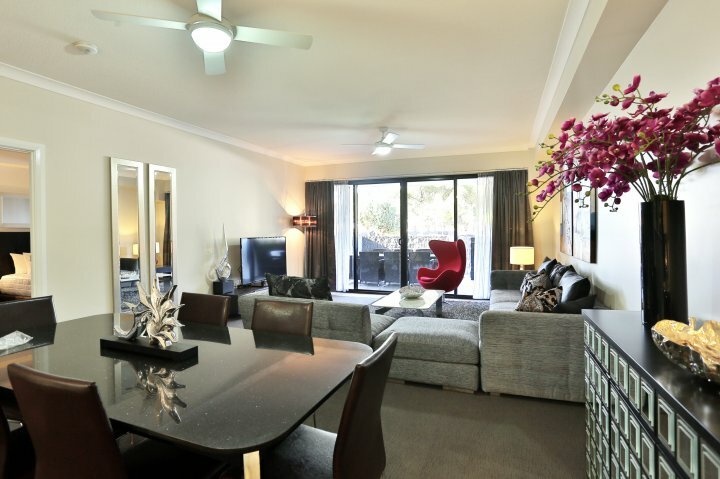 3 bedrooms, ensuite, bath tub spa in 2nd bathroom, huge living, dining and balcony. Can we remind you of our awesome location and facilities here at The Bay! 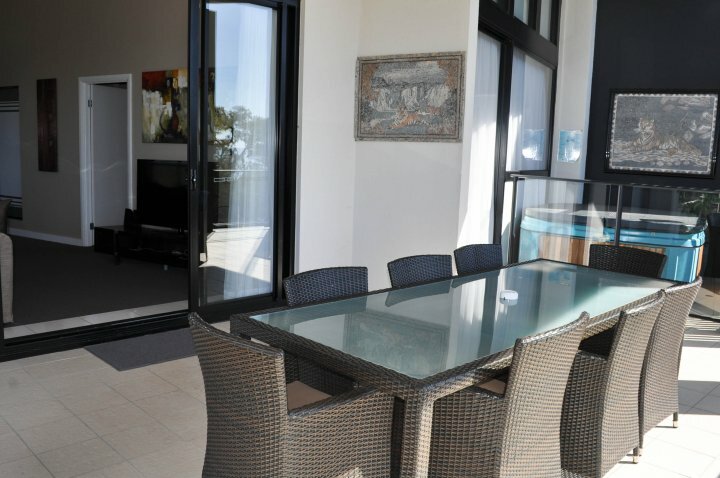 In all of our 4.5 Star fully self contained apartments you will enjoy incredibly spacious living and dining areas along with a fully equipped European style Kitchen, well appointed laundry facility, spacious bedrooms and a large private balcony overlooking the bay or your own private courtyard leading directly to the garden and pool. All Apartments at The Bay are 2 or 3 Bedroom apartments which are locked down according to requirements to either 1,2 or 3 Bedroom Apartments so every booking type enjoys spacious living. 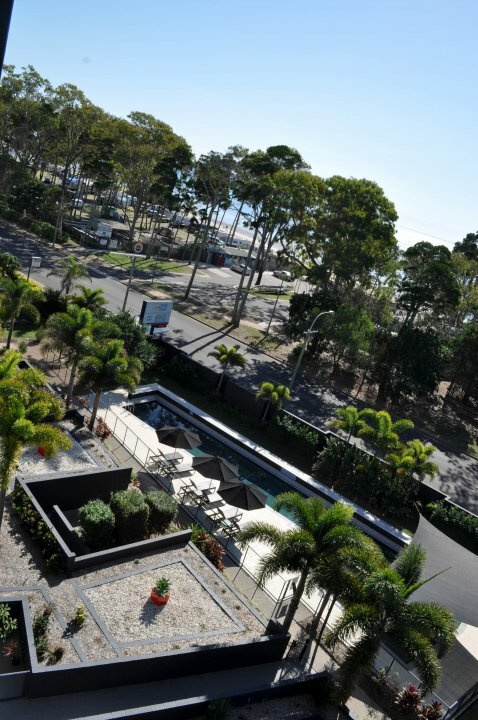 3 bedroom apartment a fantastic location & within a resort with a 25 metre heated lap pool, spa, sauna, gym, tennis court & beautiful spacious self contained apartments. What more would you want Well how about the added luxury of your own PERSONAL OUTDOOR BALCONY HOT SPA in this apartment. 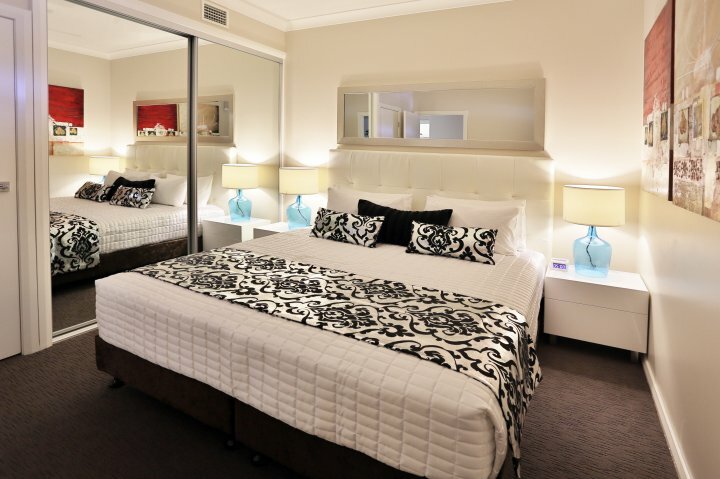 Very spacious living, dining, fully equipped European Kitchen, Laundry and large balcony. 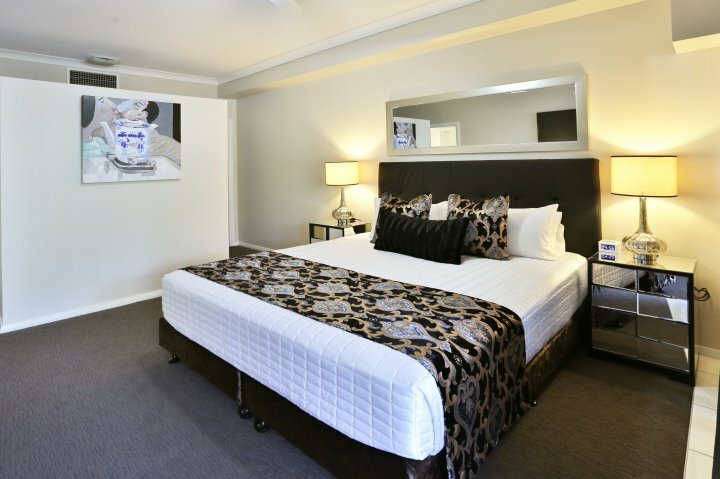 King Bed to Master Bedroom including ensuite and Walk In Robe, Queen Bed to 2nd Bedroom, 2 King Singles to 3rd Bedroom with 2nd bathroom with shower over spa bath. 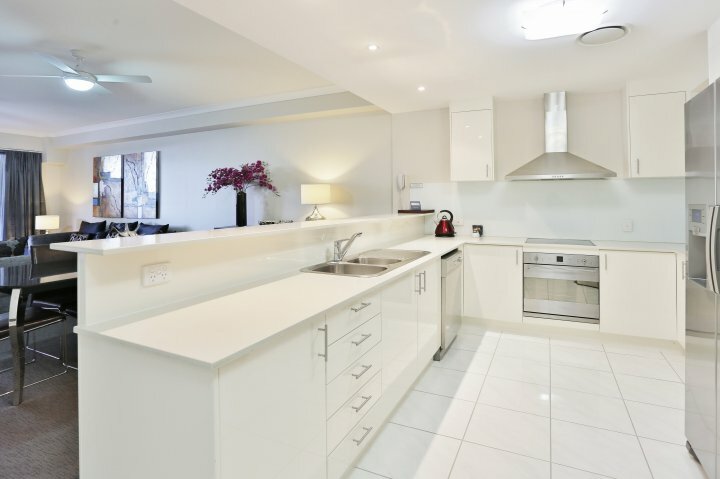 In all of our 4.5 Star fully self contained apartments you will enjoy incredibly spacious living and dining areas along with a fully equipped European style Kitchen, well appointed laundry facility, spacious bedrooms and a large private balcony overlooking the bay or your own private courtyard leading directly to the garden and pool. All Apartments at The Bay are 2 or 3 Bedroom apartments which are locked down according to requirements to either 1,2 or 3 Bedroom Apartments so every booking type enjoys spacious living. 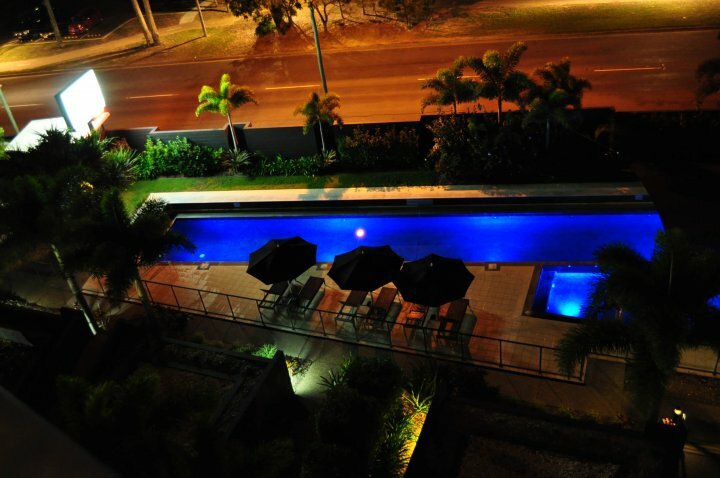 Huge 3 bedroom poolside apartment with large courtyard leading straight out to the pool. 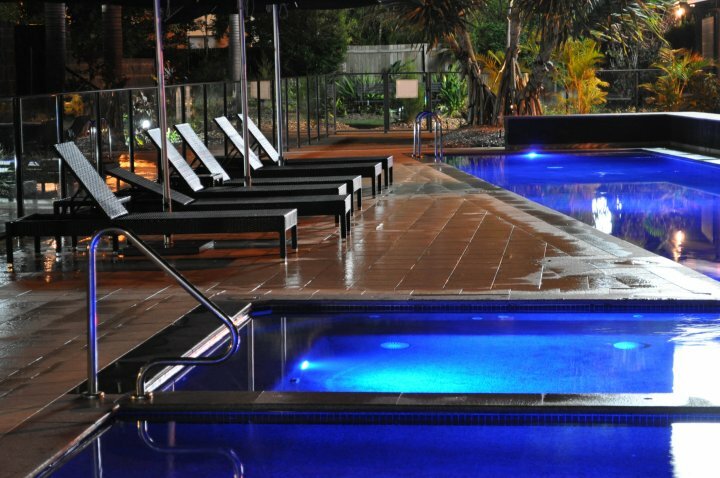 When you have a 25 metre heated lap pool, hot spa & sauna why wouldn't you just want to get to it as quickly and easily as possible. 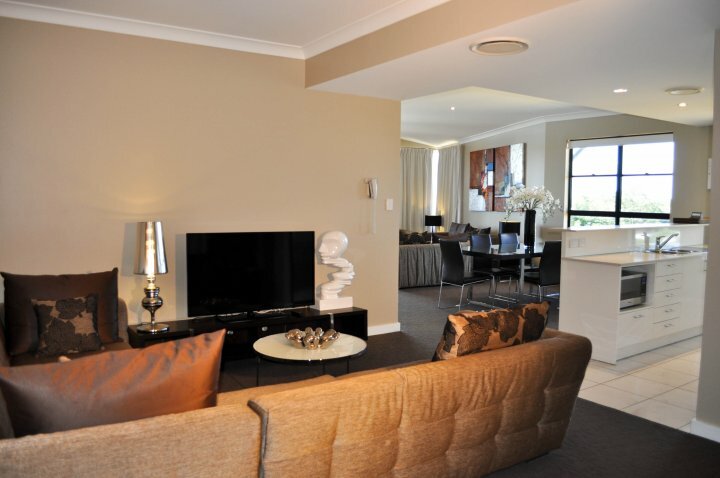 This is the ideal apartment for those who want to make the most of it all. 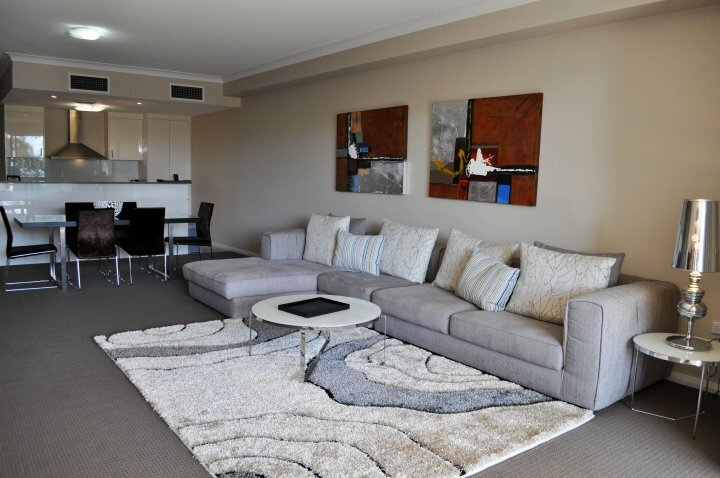 In all of our 4.5 Star fully self contained apartments you will enjoy incredibly spacious living and dining areas along with a fully equipped European style Kitchen, well appointed laundry facility, spacious bedrooms and a large private balcony overlooking the bay or your own private courtyard leading directly to the garden and pool. All Apartments at The Bay are 2 or 3 Bedroom apartments which are locked down according to requirements to either 1,2 or 3 Bedroom Apartments so every booking type enjoys spacious living. ARRIVALS OUTSIDE OF RECEPTION HOURS MUST CONTACT RECEPTION PRIOR TO ARRIVAL TO ARRANGE AN AFTER HOURS KEY COLLECTION. After Hours Key Drop Off Situated in Basement & Reception Entrance. 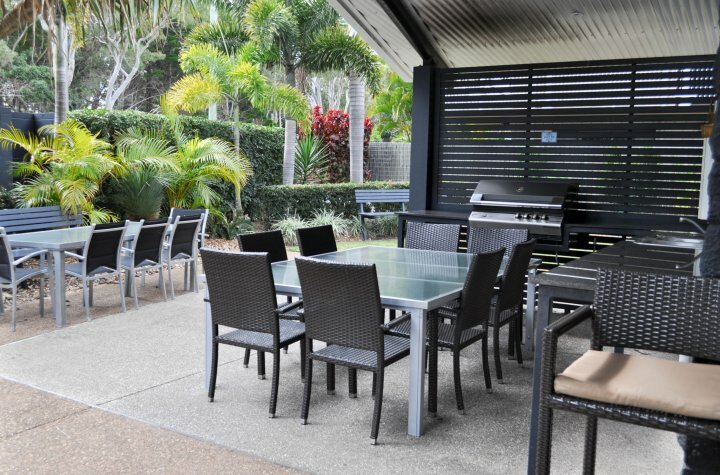 Portacots & High Chairs available for hire at $20.00 for overnight stays or $10.00 per day for more than one night booking. 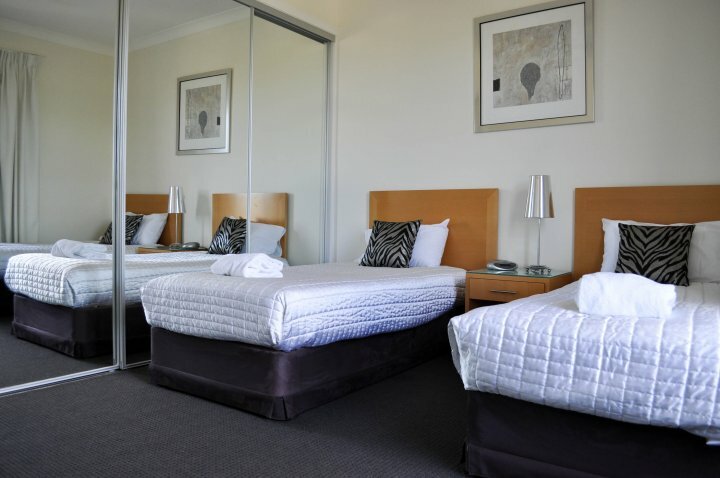 Rollaway beds at $20.00 for an overnight stay or $10.00 per day for more than one night are available for additional small children. Flights are direct from Brisbane or Sydney to Hervey Bay Airport. 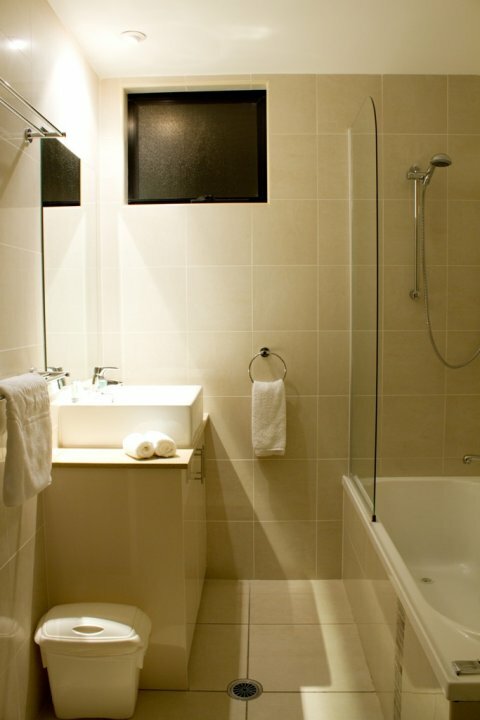 The Bay Apartments are located within a 15 min. drive to Hervey Bay Airport. There are shuttle buses and taxis available on arrival from your flight. 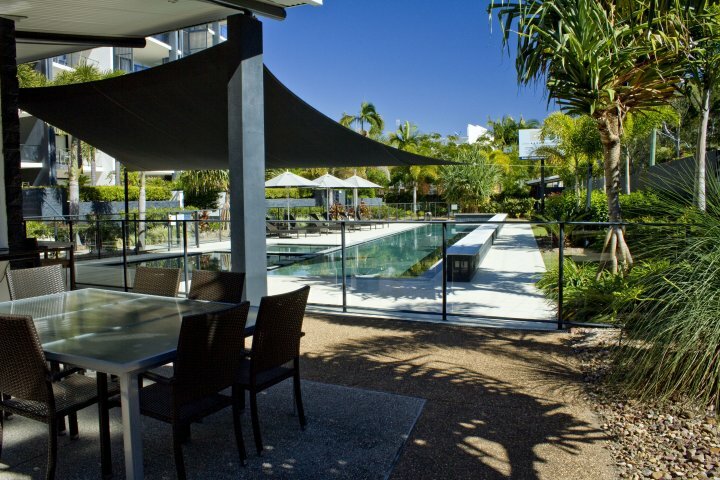 Brisbane is approximately a 3 hour drive to Hervey Bay travelling along the Bruce Highway. 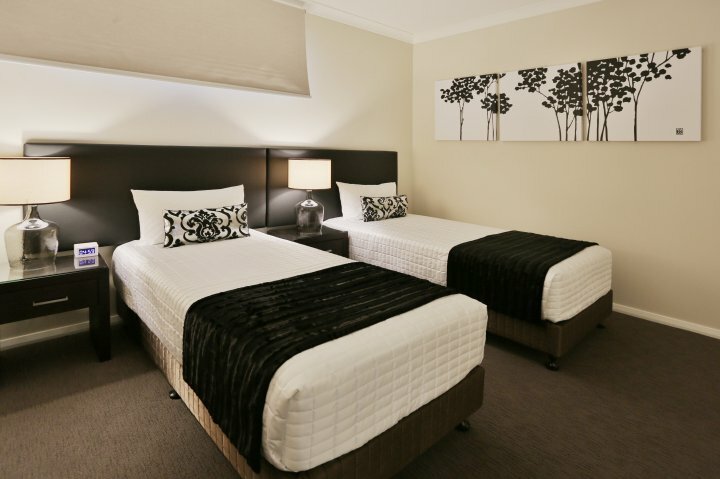 If coming up from the Sunshine Coast, you will enjoy a comfortable drive of around 2 hours. 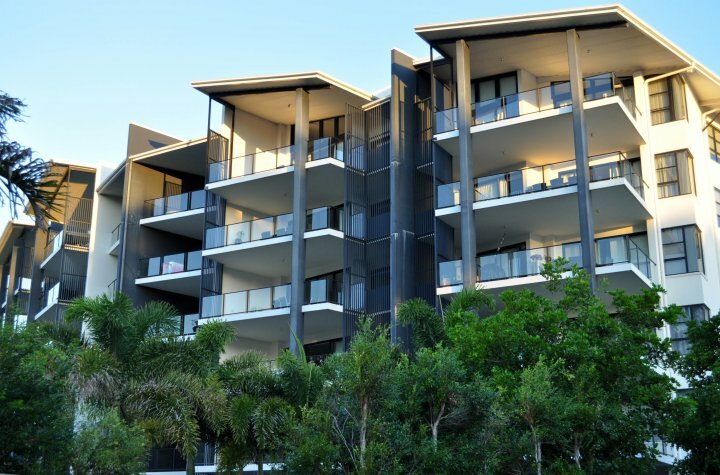 Turn off the Bruce Highway at Maryborough and when arriving into Hervey Bay head for the Esplanade where you will find The Bay Apartments at 371 The Esplanade in Scarness. 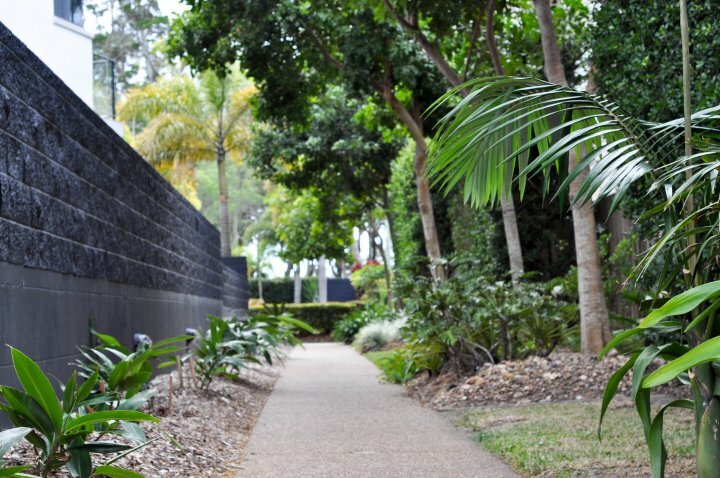 The Reception is at the rear of the building at 48 Freshwater Street, Scarness. 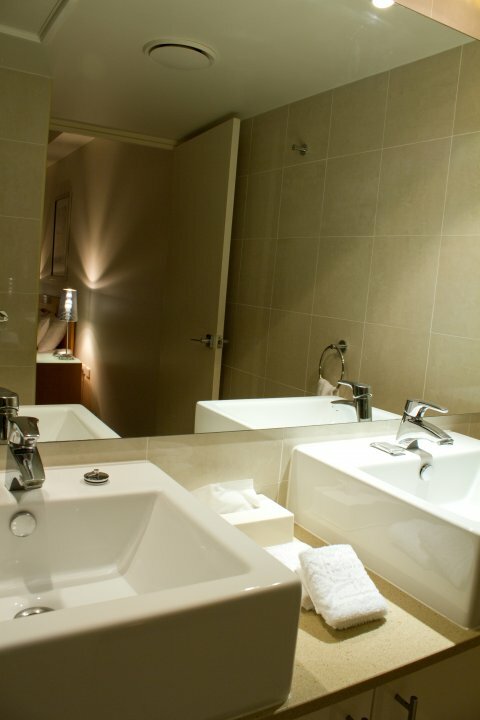 During your stay, you can choose to do as much, or as little, as you like. 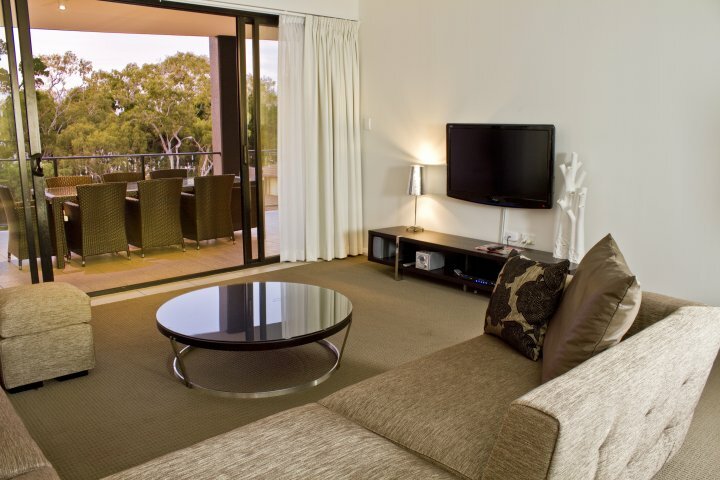 Hervey Bay is famous for its wide choice of natural and cultural attractions, as well as fishing, golf, and easy access to Fraser Island , the world's largest sand island and a natural wonder in its own right. There is a wide choice of tours available for cruising, whale watching or visiting Fraser Island, all offered by reputable tour operators who adhere to strict environmental guidelines. The Bay's Tour desk can assist you with any tours you wish to organise during your stay, or we can suggest which of the many local golf courses or fishing spots you might like to try.